Use food to prevent and treat disease. Like bio and chem? Take our Nutritional Science option, and make new discoveries about diet, disease and health. Unlock the secrets of DNA, cellular biology and nutrients. 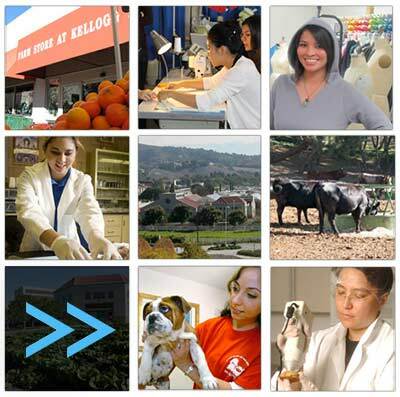 We’ll put you on the right track: pre-med, pre-dent, pre-pharm, pre-vet. Be part of our outreach programs to bring fresh fruits and vegetables to low-income neighborhoods. Teach new eating habits. Like working with people? Take our Dietetics option and work with doctors and patients on nutritional and wellness programs for specific medical conditions. Help Americans attack obesity. There's money in it, too.